For basic translation work, the best one-volume Hebrew-English dictionary is CDCH = D. J. A. Clines, Concise Dictionary of Classical Hebrew (Sheffield: Sheffield Phoenix Press, 2009), available in the Reference Section at REF PJ4833 .D523 2009. 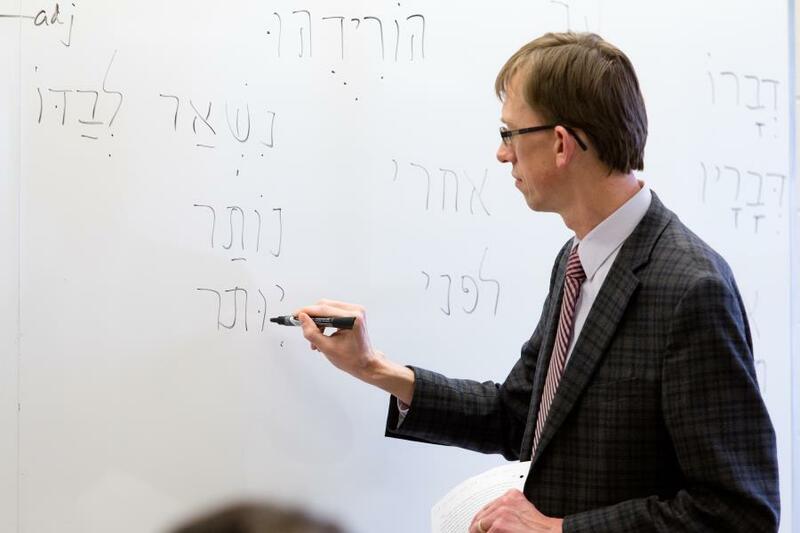 Long, Grammatical Concepts 101 for Biblical Hebrew, at PJ4567.3 .L66 2013. C. Putnam, A Cumulative Index to the Grammar and Syntax of Biblical Hebrew, available in the Reference Section at REF PJ4553.P87 C8 1995. It is a verse-by-verse index to most of the major reference grammars. Baylor Handbooks on the Hebrew Bible. This series gives a grammatical explanation of various Old Testament books and is available in the Commentary Section at COM BS715 .B39 2007. For Hebrew grammars and grammatical studies on particular topics, browse the shelves downstairs at PJ4500 – 5000. G. E. Watson, Classical Hebrew Poetry: A Guide to its Techniques, at PJ5022 .W38 1984.
van der Lugt, Cantos and Strophes in Biblical Hebrew Poetry (3 volumes), at BS1192 .O87 v.53, v.57, and v.63.